A large scale deployment requires a large scale evaluation, therefore a set of six USB powered portable lights packs enough power to help you develop powerful applications using LiPHY for instance, indoor positioning, and augmented reality based smart lighting control and tracking. Due to the restrictions imposed on shipment, power banks are not included in the kit and are shown in the picture for reference only. 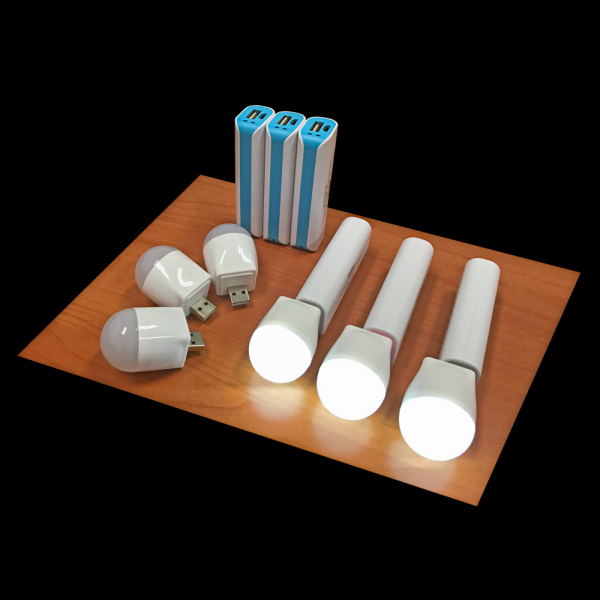 Applications To be used as a portable light for LiPHY related application development.